Are you looking for web site repair? When your website is broken, you need immediate website repairs. The time to fix your website is now, before leads dry up and the phone stops ringing. If your website has been marked with the dreaded "This web site may be compromised" or "This web site may damage your personal computer" by Google you will need emergency website repair services to avoid long term harm to your business and brand namereputation. We can help you when you are looking for web site repair. We offer website solutions for small, medium and large companies looking for affordable website services. No issue is too large or too small. We have a very high repeat customer rate. Check out some of our website reviews. Our experience level is very high and we can troubleshoot almost any website repair job. 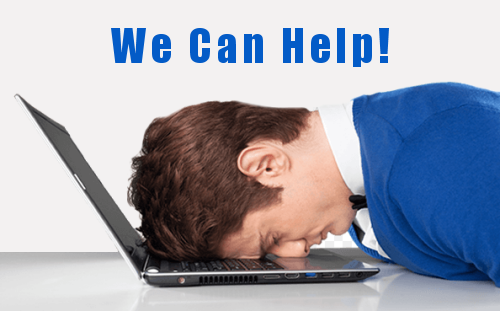 Finding the right website repair and support services company can be overwhelming, so speak to us first, it's free. You will find us friendly, knowledgeable and experienced. We do all our own work and we do not sub contact our jobs out. Please give us a call when you are looking for web site repair. web site repair | Computer Geek 5 out of 5 based on 103 user ratings.